So far at Audiophile On we have covered Campfire's previous outings with the Jupiter, Orion and Lyra models but the Andromeda might just be their best yet. In those afore mentioned reviews there was very little negative to say about the earphones within there respective price points. After that the Lyra and Jupiter have since became my main go to IEM's for day to day listening one being lush and engaging and the other being great for critical listening. In fact these two IEM's have managed to resign most of my costly multi BA custom IEM's to a place in the back of my desk drawer. There is something about the Campfire IEM's that really hit a mark with me a hard working company that have thrown everything but the kitchen sink into making earphones which are finely finished and tuned to within an inch of their drivers abilities. 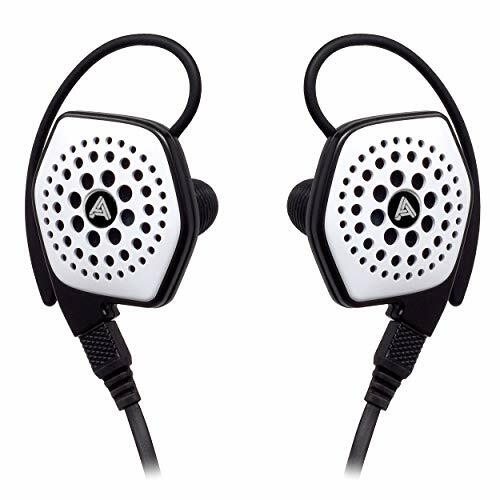 The Jupiter were an excellent example of a reference headphone with them sounding eerily similar to the outstanding Ultimate Ear Reference Monitors and at the time of that review were the companies premier offering. What then has Campfire Audio been able to do to push the boundaries further with the Andromeda its new 5 driver flagship? Lets find out and get down to business. Campfire Audio, as is evident from previous earphones, are quite happy to play about with materials and designs to get the sound they want. 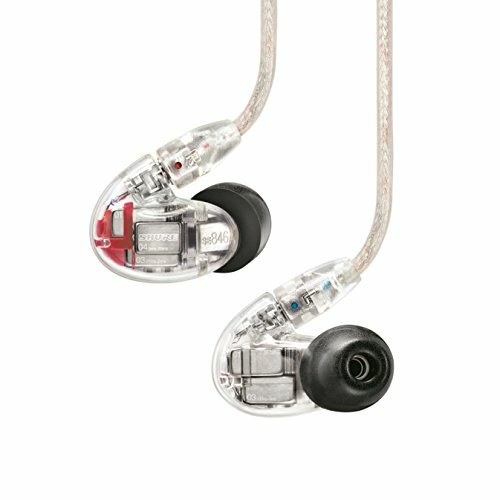 With the Andromeda that continues and there is a whole lot to like from the spec sheet of these new high end IEM's. The Andromeda comes in rocking 5 balanced armature drivers with the configuration set at - 2 low - 1 mid - 2 high. However rather than order them stock and tuning them as they come from the factory CA have attached their own special resonator tubes on the high drivers. As it was put to me this means that they have taken the tip off of the balanced armatures then they 3D print their own resonators in order to get those high drivers singing just the way they want. 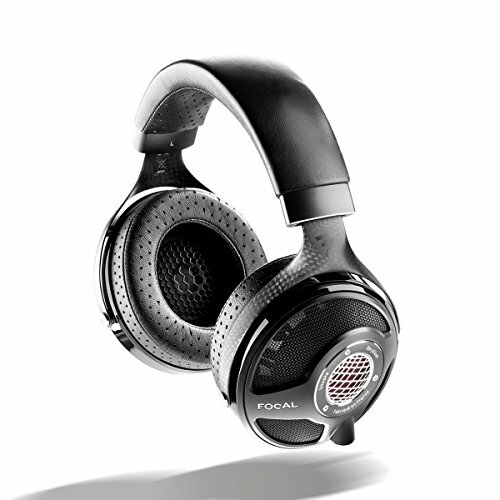 Those drivers are set in earpieces which are precision machine milled from a single block of aluminium. The whole process is undertaken in small batches to ensure the highest standards of fit and finish and also to reduce variation in production runs. A bit of real talk about the company from my perspective. The price of the Andromeda comes in over a grand at $1099. There is no doubting that is a boatload of cash to be spending on headphones. Some companies choose to try and spin the values and virtues of their very average offerings in a way that makes my blood boil. In when I get those in my hands I usually just send them back and tell in the plainest of terms why I was so unimpressed. These companies are very much style over substance and happily that does not apply here. With all the CA products you can see that they picked a price point then went absolutely balls out to create the absolute best product the can within that constraint. CA gear seems far more of a product of passion as opposed to a pure exercise in creating a revenue stream. I hear stories about them throwing out product runs they aren't happy with and delaying the releases to ensure you are not a beta tester. It really shows when you get them in hand and I wish more companies in the portable audio space shared such a passion for the product design and less on slick marketing tactics and perceived value. Packaging on the Andromeda follows right up on the rest of the Campfire Audio range with that now familiar and every stylish starry night box. Its super simple, straight to the point and proves that you don't need to plump out on wood and fancy metals to make something look unique and classy. I think Campfire get it, they know the packaging should be disposable and with the Andromeda box, while it looks good, you wont feel too guilty about throwing it out as opposed to letting it collect dust in a cupboard. On the inside you have two tiers to separate your gear. The top houses the headphones case and with the earphones inside and the bottom contains the accessories. So lets get into those accessories. With the Andromeda you get everything everything you need and everything is of the highest quality. Comparing the Campfire Audio Jupiter, Lyra and Andromeda cases. The Andromeda case comes in a nice dark brown leather finish. Let us start with the included custom Andromeda IEM case. All the earphones in the CA's line up come with, in their own right, some of the best quality cases on the market today. The overall design features are the same with a hard clam shell case, robust zippers an a sheep skin esque inner padding but the outer materials differ on all the models. In the picture above we can see the cases included from the Andromeda (Top left), Jupiter (Top right) and the Lyra (bottom). The Lyra is a smooth finished brown/orange leather, the Jupiter is a beautiful tan suede style and the Andromeda is a deep chocolate leather. Each of them is beautiful in their own right and you really need to get them in hand to understand just how well made they are. The Jupiter case still has the vote for my personal favourite but that dark leather does go oh so well with the green of the Andromeda's housing. Really these are some seriously premium cases that I would be quite happy paying in the region of $100 for as a stand alone accessory. Silicone tips, foam tips and Comply tips. Next up, and a little more mundane is the inclusion of the tips. The quality of the rubber tips is solid, performance is as you would expect, easy to install and they created a solid steal when inserted. You also get some official comply tips to use with the IEM's and even though I am not usually a big fan of them for me they ended up woking best even though I may consider getting a set of custom build silicone tips at some point in the future. Inside one of the packs you also get a small cleaning tool which is actually quite handy for the Andromeda as there is no external mesh over the bore holes on the IEM housing. Using the tool every now and again should keep them sufficiently free of wax and dirt build up. As a little bonus you also get a small Campfire Audio pin with the CA logo on it but other than that its the user manual and the new detachable cable which we will get into in the next section. Just like we saw with the packaging of the the earphones the housing also carries on trends from styling found on the rest of the range. While at first glance you might think that these share the same housing as the Jupiter the Andromeda have a few distinct differences in the way they are put together. First, and most obviously its the color. Decked out in a stunning emerald green these are simply put one of the best looking universal earphones we here at audiophile on have ever seen. The way the finish catches the light at different angles gives the IEM's an almost jewel like quality. It must be eye catching because I have only had these with me on 3 flights so far and each time I have been asked by my single serve friend sat next to me what the hell I had in my ears. Consequently when handed the earpieces the follow ups have been "damn they look incredible, they must sound good?" or "wow they look expensive". I wouldn't usually mention this but given the fact that most people could usually give 2 sh*ts about what you listening on I think its testament to the Andromeda's good looks. Also setting the Andromeda apart from the the Jupiter IEM's is the inclusion of an extra bore hole (taking the total to 3). This addition is present in order to accommodate the incllusion of the remapped driver layout found on this IEM. The final difference between the two is a further consequence of that extra driver and that is that the Andromeda is ever so slightly bigger than the Jupiter. Apart from those changes it essentially feels like the same exact IEM housing that I have came to love using over the past few months. There are a number of reasons to like the design of them but we are going to start with the quality of the build and finish. These are some incredibly tough earphones and and it all comes down to the high level of fit and finish in their creation. I cant think of another monitor that will likely stand the test of time quite like these. I mentioned in the review of the Campfire Audio Orion that I have been using them as my sports earphones as well as through numerous downhill mountain biking and camping trips but despite copious amounts of abuse they still look exactly as they did when I took them out the box on day one. There is something to be said about how reassuring it is using a set of CA earbuds. You don't have to worry too much about them, you can get a little rough and a little careless but still sleep easy in confidence that the housing can take a beating. A size comparison of the Campfire Audio Lyra, Jupiter and Andromeda. What looks to be quite a jagged and angular design is actually incredibly comfortable to use. I find myself just setting them in the morning, getting down to work and before I know it its the afternoon and I'm not faced with any discomfort or fatigue from wearing them with the Comply foam tips. The earphones seem to sit at just the right angle between the tragus and anti-tragus and sit comfortably inside the conch of the ear. I don't have overly large ears in fact I would say that despite being 6'3 I have pretty regular sized ears so normal to large you should be good to go. 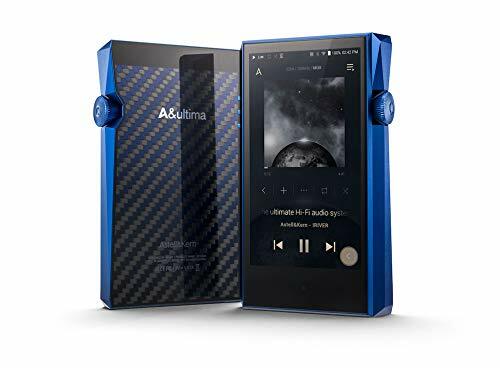 However, with the Andromeda I suspect that someone with really small ears may struggle to get as comfortable a fit and could be better suited to different IEM's or even the Campfire Audio Lyra. The one criticism of the previous Campfire offerings has been pretty universal. The cable. The cable on the other models is actually a very good well made and hard wearing cable but it ultimately suffers from one fatal flaw. An extreme ability to ball itself up into a tangled mess. The new one has not only addressed the issues with the old one but its a cable that I would almost put on par with some of my custom cables from Labkable. The semi thick braid feels more durable than the tinsel that came before it so I suspect it will also be harder wearing. On the sound profile its known that I don't buy into the head-fi BS using the old or new cable should sound exactly the same. The earphones are designed to be worn over ear and as such you wont have any issues with micro-phonics. Memory in the ear guides works well, its a pretty basic design but is done right and keeps the earphones in place even when moving around a lot. A nice little custom CA branded clear jack is found at the 3.5mm point with decent strain relief attached and up the other end the TRRS connectors are equally well done They lock into the earpieces with a solid click and the swivel when engaged is butter smooth. Obviously being detachable cable IEM's the Andromeda's life expectancy will be easily extended if anything ever goes wrong with your original. 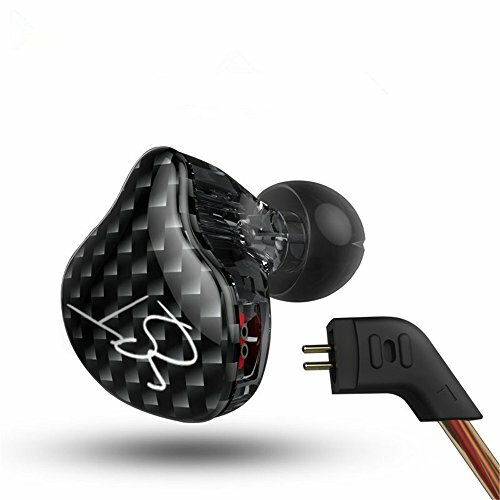 Consequently this feature also opens up the possibility of using the earbuds with any compatible 3rd party offerings should you want to further trick out or customize your headphones. The Lyra was warm, lush and intimate. The Jupiter a lesson in how a critical monitor should sound. So what then does the Andromeda have to offer? A hell of a lot I quickly realised. Straight up there is only a handful of earphones that sit this high up on my list. There is an incredible level of detail, perfect overtones of warmth and an overall wonderfully natural presentation. 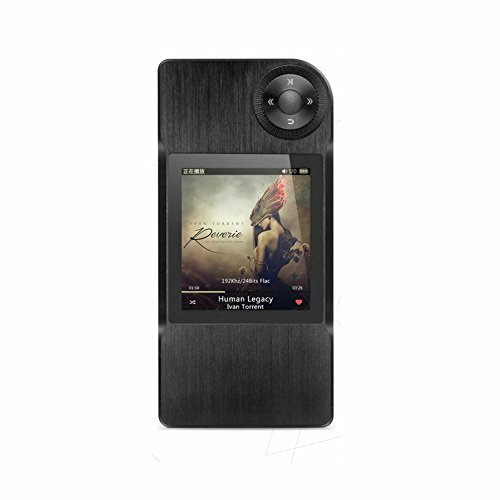 The Andromeda are the type of earphones that will play well with every single genre but be aware they will rip poor bitrates and badly mastered tracks to shreds. Being someone who at minimum uses 320kbps tracks I had no problems. However, when putting in something lower your stuff starts to sound a bit faded and off. It's still listenable but noticeably lacking. 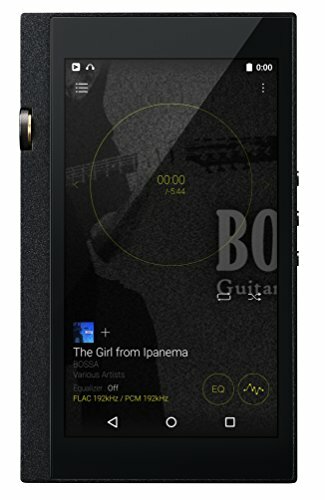 With the right tracks in place I tested the Andromeda with a plethora of DAP's, Amps & Smartphones listed below. If one thing was observed it was that the Andromeda, despite having 5 drivers, is perfectly capable of being driven to acceptable listening levels from a variety of sources. When talking straight combos then the Questyle QP1r seemed to be a match made in heaven for these IEM's but really any of the above DAP's are going to drive them to their full potential. The various smartphones were used in situations where i didn't want to carry two devices and I found myself bobbing away with a smile on my face with all of them. It still goes to show that if you files are in the right order and the headphones are capable of being driven by the source its the headphones that will make up the vast majority of ones sound quality. Now down to the nitty gritty. The first time I listened to these earphones it was the natural presentation that caught me by surprise. I don't know if I had first expected an extension of the clinical nature found on the cheaper Jupiter model but this one has a far more laid back approach. Everything is presented with a sense of realism and a real lack of forced emphasis. Soundstage is very admirable for that of closed in-ear headphone placing you a few rows back from centre but also creating an level of width that I haven't heard since owning Final Audio's FI-BA-SS. The presentation really is something when listening to things like Vanessa Mae's Toccata & Fugue in D minor, Tchaikovskys Telarc 1812 Overture or even Infected Mushrooms Heavyweight. Sound seems to come at you from every angle and the ability to position instruments on complicated tracks is something that very few earbuds can do so well. Highs - Treble is one of the most polarising areas of sound. Some people like the sparkle but I think in a lot of cases they actually like the increase in detail that often comes with that. Usually, I find the earphones that do well in that area also are inevitable tied into fatigue from prolonged listening. The vast majority of audio fans actually sway towards a non offensive treble presentation, usually as this is tied to earphones with a warmer midrange and extended bass, but what if we could have both? Amazing clarity and detail in the highs but without the spikes and dips into offensive behaviour? Could we pair that with a warmth in mids and weight in the lows? The answer is apparently yes. The treble on the Andromeda for me is bang on perfect. Lots of air, beautiful clarity and it shows an extreme cohesion with the overall sound profile of the IEM. Mids - The midrange is smooth with lots and lots of detail. The kind of detail that people talk about "hearing things they never heard before" trust me if its there in the track then the Andromeda is going to show it. Even though the mids could be described as warm that might actually be an injustice to what seems to be happening here. The Andromeda just sound so brilliantly natural. To hear people describe things as sounding "just the way the artist intended" is a very loaded way of describing things but I do get what they mean. Live tracks on these earphones sound incredible and even when put side by side with the Shure SE846 i found them a step ahead in pure listening pleasure. Vocals, whether it be male or female are beautifully rendered again sounding natural and intimate. Lows - The lows are tight but thankfully for a balanced armature also have considerable weight behind them thanks to Campfire Audio doubling up on those low drivers. It won't extend to the darkest depths, sub bass is at moderate levels, but a combination of speed and detail in the low end make these work extremely well with electronic music. No matter how hectic things got during our listening sessions, even when trying to overwhelm them with EBM and industrial tracks from the likes of VNV Nation, Psyclon Nine and Chombichrist, the Andromeda never ever got sloppy or lost their composure. Its the kind of low end that reacts as the music requires, if things are meant to be laid back and weighty or if they are meant to get fast and remain punchy the Andromeda are capable of keeping up. The same rings true when we switched our low end listening over from electronic to strings and drums. The amount of power seems spot on to what the track requires and doesn't ever appear to be artificially enhanced nor overly lightweight. 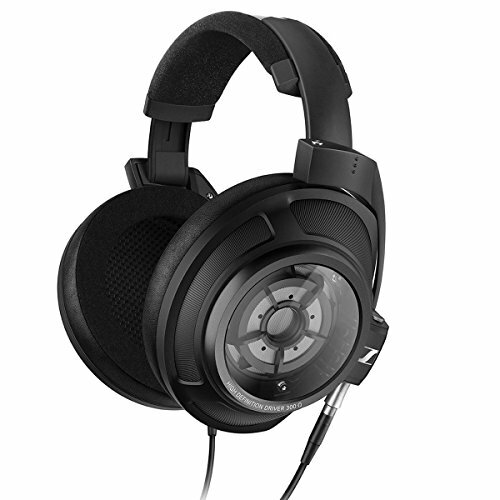 You know what the problem in reviewing some of the best headphones in the world is? It's the fact that at this level it gets damn near impossible to find something bad without deliberately going out of your way to criticise stuff that doesn't really bother you in the first place. Some reviewers I feel are just looking for an excuse to appear objective. Myself? I honestly, can't find fault with the Andromeda other than if you have small ears they might not work size wise. In my eyes with the Andromeda from Campfire Audio are offering a truly top of the line and possibly end game product. The accessories are on point, they look incredible, they are constructed with a ridiculous level of fit and finish and they are tuned to near perfection. The other thing is that I wholeheartedly support the company for the lengths they go in the creation of these IEM's and their commitment to try producing the best hardware possible. Speak to them and you will hear that passion but you can also see it in the finished article. They have passion and a community we should be supporting brands like that as opposed to those in it to exploit our hobby. 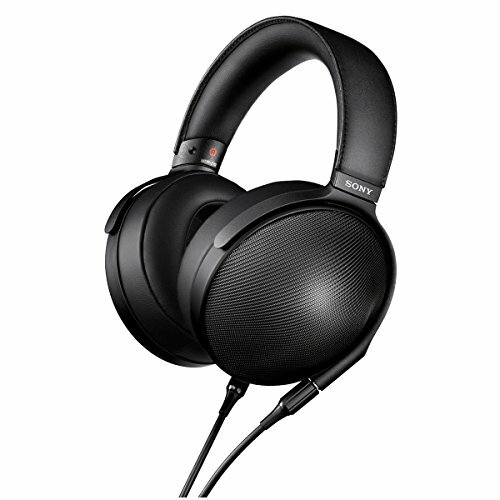 Of course there will be other headphones to consider at this price. Noble, Shure and Final all have a place but I would have a hard time saying which is better for you. As I am sure you have heard before everyones taste are not be the same. However, those competitors are more likely side steps from each other at the top of the earphone mountain. Any of the Campfire Audio Range of products are competitive if not at the top of their respective price points and the release of the Andromeda follows the trend. If I was in the market for a high end in ear headphone right now I don't think I would be buying something without giving these some serious thought. They are just a beautiful piece of work and one that the team at CA should be immensely proud of.